Have you ever dreamt of owning your own café? 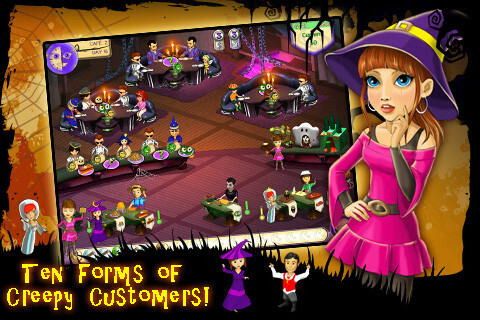 If so, be sure to play the new restaurant simulation game under the title Amelie Cafe: Halloween to help a cute girl named Amelie run her café! 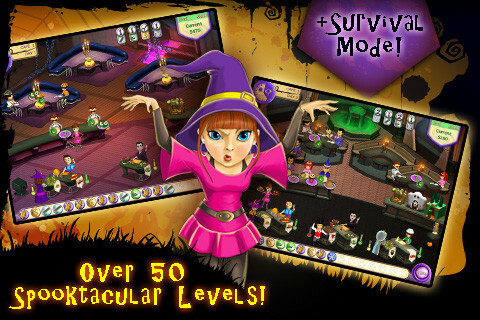 Your guests are dressed in sinister costumes, the dishes look completely inedible, and the tables are decorated with ominously flickering pumpkin lanterns, but do not be scared, as it's just an ordinary masquerade party! 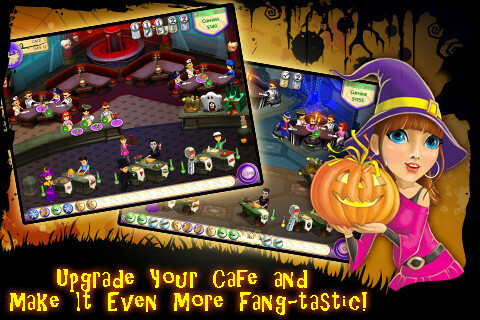 Download Amelie Cafe: Halloween to enjoy the unique spirit of Halloween whatever time of year it is and simply have fun serving odd dishes to your customers! Good luck!